Porter Cable has created a set of interchangeable tools that use the same battery and charger. The company has kept prices down by selling some tools without chargers, assuming you’ve already bought the charger with another set. 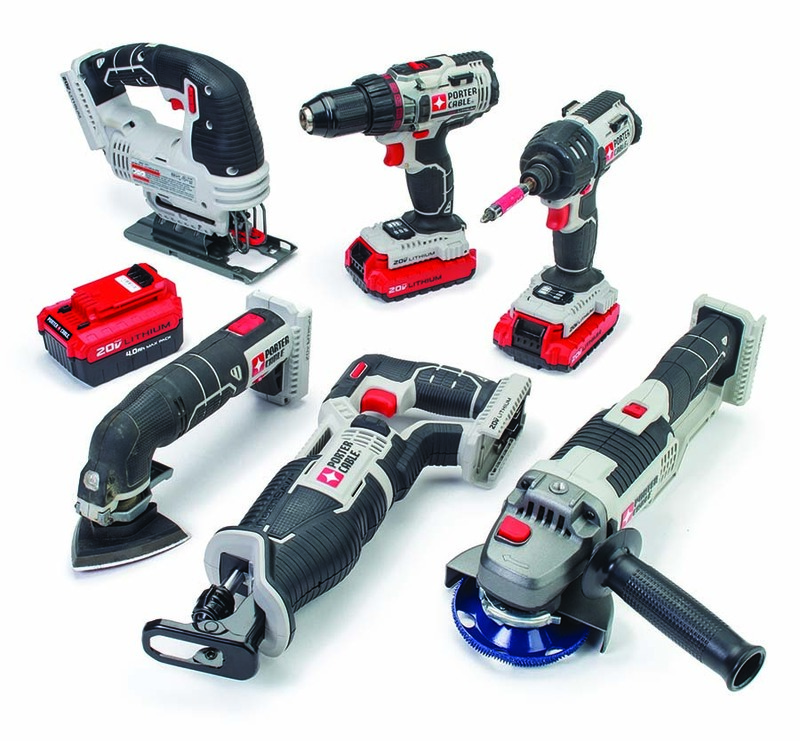 The basic set includes a 1/2″-chuck cordless drill and a 1/4″ hex-shaft impact driver with a charger. The tools are light and powerful, and hold a charge well; with one charge I was able to drill all of the holes and drive all of the screws I needed to make a small storage shed. I also tested a 6 1/2″-diameter circular saw, an angle-grinder/cut-off tool, a reciprocating saw, and an oscillating tool. 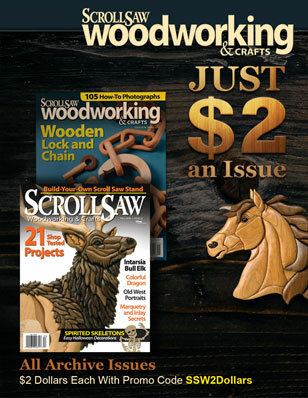 The circular saw and reciprocating saw sliced through plywood and hardwood alike. 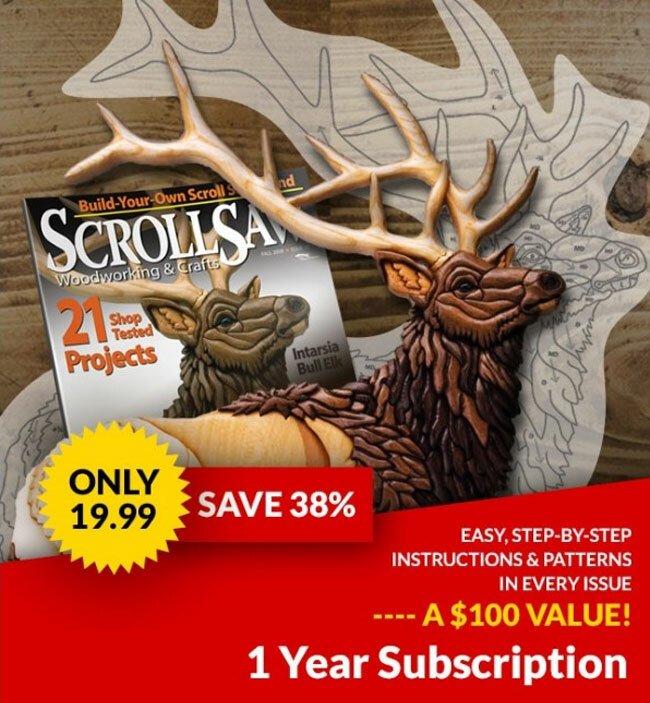 When I equipped the angle grinder with a carbide point wheel (such as King Arthur’s Tools Holey Galahad), it quickly removed the excess wood on a large intarsia project—without fumbling with a cord. For scrolling I found the oscillating tool most useful. This variable-speed tool allows you to sand, cut, and scrape, with accessory changes that only took a few seconds to perform. The cutter was useful for trimming overhanging backing boards and the scraper (used lightly) quickly removed stuck-on patterns. The triangular-shaped sander was the most useful because it fit into tight areas most other sanders wouldn’t go, and it sands fast! For more information and a list of retailers, visit www.portercable.com.